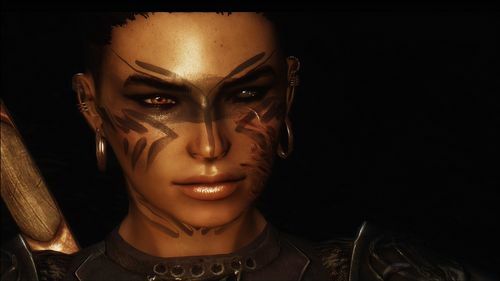 Today we are talking to zzjay, who is mostly known for various cosmetic mods for Skyrim and Skyrim Special Edition, such as zzjaj's wardrobe or Witcher 3 Female Armors. Thanks for joining us today, we really appreciate it. To start this off why don’t you tell us a little bit about yourself? My Name is Adele. I am from Italy. I started getting into video games, when I was a very little kid. I used to watch my brother play the very first version of Prince Of Persia on AMIGA - we never managed to finish the run. I'd really love to work in the industry, but for now I have to settle for studying commercial law. Currently I am playing Town of Salem (a browser game you should all try) and Europa Universalis IV. You’ve been a member of our community for over 7 years now. What drove you initially to join Nexus Mods and become a mod author? I joined this site because I was looking for Oblivion mods. This site seemed to have many. I used them a lot, and when Skyrim came out I was so hyped, just to only be disappointed by how it looked. So I decided to get it looking as good as Oblivion did… but sadly it never held up with its predecessor. Also, I wanted to be able to customize the mods I downloaded and change things I didn't like, because, you know, you can't bug modders to do that for you. Everybody can learn. How would you describe the kind of mods you like to make? My most complete work are the Witcher 3 armor ports I made. I'd love to thank everybody involved in that, and CDProjekt for allowing me to use their amazing files. It was quite a challenge, because the graphic engines were very different and I wanted them to look as close as possible. Also zzjay’s wardrobe is another one I'm proud of. It includes a few themed armors, you can dress up as a pirate, a huntress, or a knight! 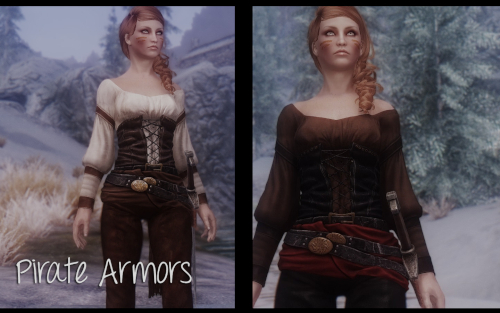 And these are my personal textures I use on Skyrim characters: Women of Skyrim (it's NSFW so beware). Most of your work are mods for Skyrim and Fallout New Vegas. What is it about these two games that draws you to making mods for them in particular? For both I think it's the need to create something in that world. I loved Bethesda's old games, before their storytelling fell apart. Take for example the Fallouts: In Fallout 4, you start the game through a pre-designed Dungeon, where you find the "power armor" (late game equipment) early on and you soon get into an obligatory use sequence. You cannot complete it without using that power armor, while the old games usually never imposed such barriers on you. There was the game and you were able to decide how you were gonna go through it. Also isn't an RPG supposed to give you scaling equipment? Anyway, Bethesda's games are the easiest to mod and they're the ones who need it the most. I could mod The Witcher 3, but I actually think the game doesn’t look as bad as a vanilla Skyrim or FNV… so I stick with those. Is there something about the creative process that you enjoy most? It's really just about creating, to see how things look, to be proud of what I made, to be able to have an item ingame that I made. What are your favourite games from your childhood? Do you still play any “oldschool” games? The game tells the story of a man named Thomas Angelo, and his ascent into the mafia. The English dub is pretty bad, I'm lucky cause the Italian one is amazing. The game is not an easy game to play, you also have to drive old cars, and the steering system is quite good, without being easy. There's also that notion of unpredictability due to the Police system that will try to fine/arrest/kill you according to the offense you did, including speeding. Also, well, you aren't really supposed to be a GTA kind of criminal, but yet you are, and the fun is in the consequences. But for this reason it's not a game for everybody. It does it for me - driving + shooting is my favorite combo! Do you use many mods in your own playthroughs of the games you play? What are some mods you can recommend? I don't use many mods. I do have a few of the essentials for Skyrim, like Apachii SkyHair, KS Hairdos, ELFX, SMIM, amidianborn retextures, bugfixes when needed, and a few outfits I probably forgot I have installed. And I mostly use my own mods for New Vegas. I do love all the Akiro's enbs, like Bleak ENB - Unbleak ENB, and Goddess ENB. For Fallout New Vegas I like Rust ENB. Jmenaru is probably one of the best 3D artist who shares free mods. He recreates female clothes from other games, or concept arts. For example the crimson twilight armor for Skyrim they made. They also have mods for Fallout 4. When you are not modding or gaming, what are some other things you like to do for fun? I like watching TV Series and cooking. I also love swimming, and diving. Sometimes I read, too. I like Poland, card games, and history. I love animals, I have a cat and a few pet chickens. Going back to modding: how did you go about learning the various skills that go into creating your mods? Do you have any advice for people who want to follow in your footsteps? I read tutorials and watched videos online, talked to people - it's not hard really. You just have to look for what you want and not be afraid - because if I can do it, you can, too. 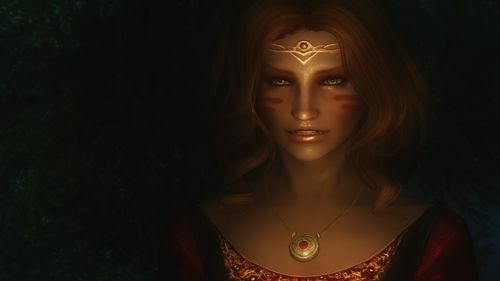 I mostly looked for tutorials on the Nexus Mods Wiki, Ashara's tutorials especially, armor creation tutorial for Skyrim is the base for everything. This is ALL you need to learn the basics of mesh modding. Talking to fellow modders is another good thing one could do, if there's something you can't do and the person is willing to explain it, of course. 7thNighthawk, really was a huge boost for my Blender abilities. Also for Blender/Photoshop stuff, I suggest everybody to just google: “How to create X on Blender/Photoshop” and watch the video/tutorial. But some parts cannot really be learned from tutorials.Trial and error is the way to go. Keep modding, don't do paid mods, we loved the way it worked, why should we ruin it all? A big thank you to zzjay for answering our questions. If there's an author or mod project you'd like to know more about, send your suggestions to BigBizkit or Pickysaurus. This is a mod? How can i download? ZZJAY's Mod make me always come back to Skyrim.. I love zzjay's mods and I can't play without some of them. In fact, I like to use so many of the forge-able ones that my forged item list is too long. I actually need a mod that will allow me to remove some of the vanilla items that I will never make. I will probably end up learning to mod myself just to make that mod. The Pirate armour looks like the default outfit for the Recorder Follower Mod. Although, she's based on all sorts of things. Whats the source material? That's because it IS one of the parts that make up the default outfit for the Recorder Follower Mod. I have actually tried several of ZZJay's armors and I found them the "just what I was looking for mods" they gave my female Dragonborn just what she wanted and needed. Myself I like to Smith almost everything I wear in skyrim. I am quite sure Nexus and our games would never be the same or as much fun without ZZJay's mods, thanks you are one of the best. "Bethesda's games are the easiest to mod and they're the ones who need it the most"
i can only agree on this one, so mutch. and i can only add bethesda games are the best, but they are also the worst. I'm a modder who modify things complex. Sometimes fix simple bugs, most of time modify others' mods for what I think the contents should be. Because I think getting permissions from all of the authors for uploading is annoying, I usually only modify things for myself. Most of my skills about modding is about CK, BSA browser, SSEEdit, and a bit Nifskope, which actually don't need to build models. The time I have spent on modding Skyrim is far more than playing Skyrim, so I actually don't understand much about the branch quests in Skyrim. I think the most important thing in gaming is "fun". Gaming shouldn't look like you are working drivenly or doing something effort(actually I think being completely free is the most important thing in my life). That is why I modify Skyrim, if I still feel fun. Another similar thing is Minecraft which became popular at a time close to Skyrim's released time. But I actually like detailed meshes and textures more, so I play Skyrim more. Love your work! Been following your mods across multiple games for almost 5 years now. Thanks for your all your hard work!